Dan Ariely’s Course on “A Beginner’s Guide to Irrational Behavior” Open for Enrollment! 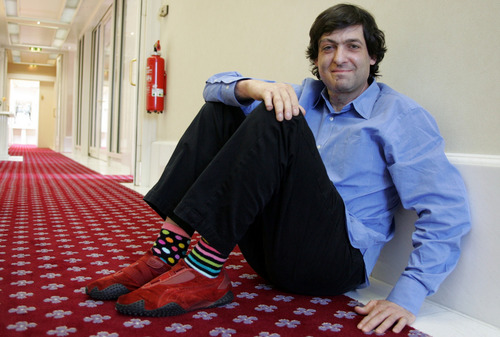 Professor of Psychology and Behavioral Economics at Duke, Dan Ariely is no ordinary man. With 70% of his body burned in an explosion when he was a teenager, a day in the life of Dan is plagued with aching limbs and hands that don’t always work, much less fit into ski gloves. But that doesn’t stop him from conquering the field of behavioral economics as the expert on all things “irrational.” One of the main themes in Dan’s research is the contrast between what a rational agent should do, at least according to standard economic theory, and how we humans actually behave. In his upcoming course on Coursera, “A Beginner’s Guide to Irrational Behavior,” Dan will provide an introduction to behavioral economics that makes you scratch your head and wonder why we act in the curious ways we do. How stable and consistent are our preferences? How do we think about money? How do we justify unethical behavior? What motivates us to work? How can we exhibit self-control in our lives? And what effect can emotion have on our behavior? Back home in Durham, North Carolina, Dan is taking advantage of his experience with Coursera in a different way. At Duke, he is currently teaching an interdisciplinary undergraduate class that culminates in the production of MOOC-like material from the students themselves (which you can read about here), and will experiment with the flipped classroom approach with his next batch of MBA students using the videos he created for Coursera to generate discussion in the classroom. If you’re interested, you can check out Dan’s book bundle. The bundle isn’t required for the course but provides an interesting perspective on irrational behavior. They are available here: Kindle, Nook, iBookstore, Kobo, or Google. Although the course will formally begin next Monday, the site is already open for you to start! See you in class!